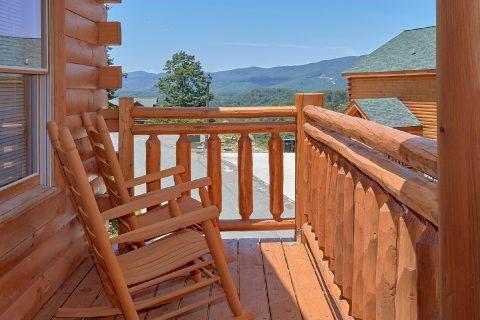 Ready for a Pigeon Forge vacation you won't soon forget? 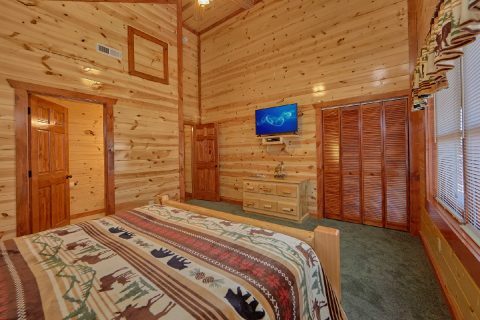 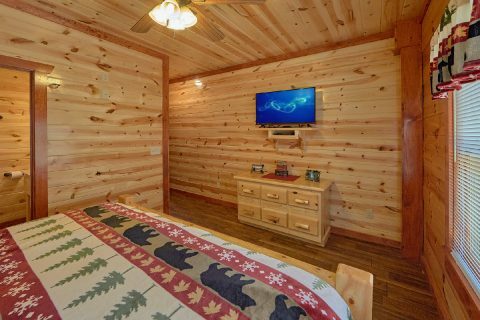 Simply book "Dive Inn," an impressive 5 bedroom cabin rental that's only 5 miles from Downtown Pigeon Forge, TN! 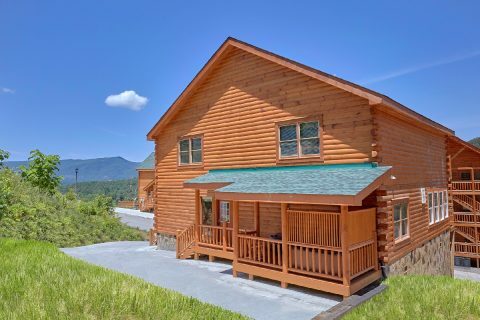 Located in the beautiful Black Bear Ridge Resort area, this cabin's prime resort location places it just off of Wears Valley road. 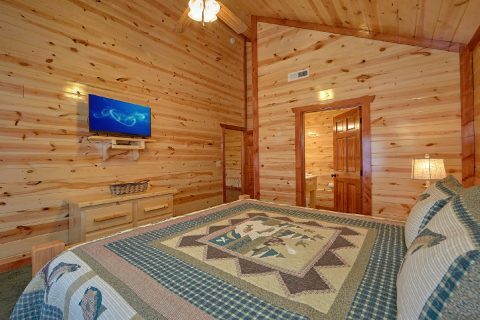 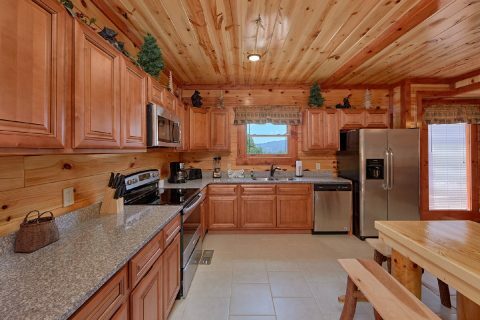 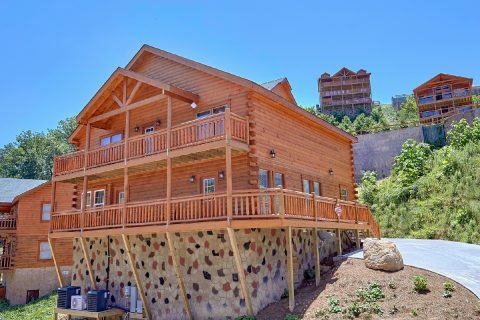 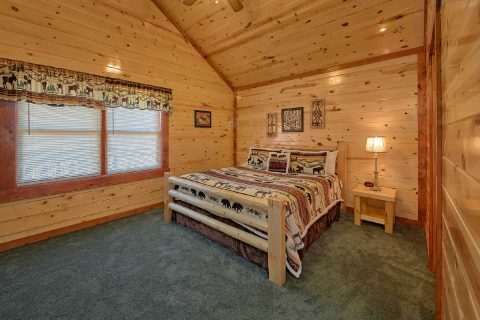 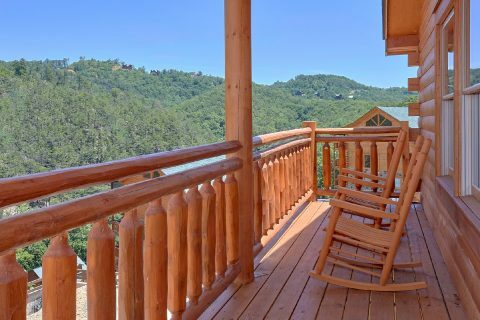 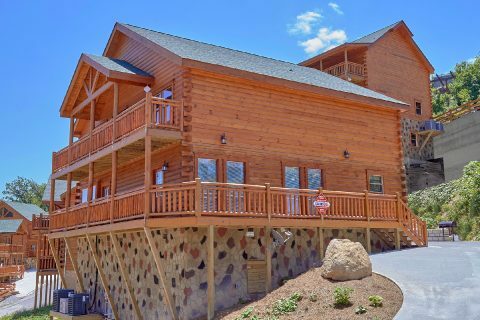 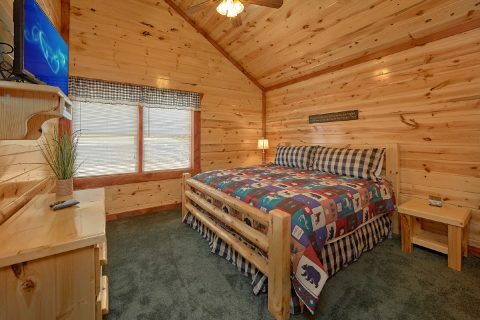 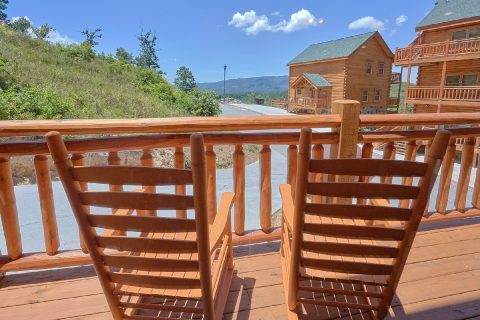 As a result, this cabin rental boasts quick access to top attractions in Pigeon Forge like Dollywood and it's also only a short drive from beautiful Wears Valley and several entrances to the Great Smoky Mountains National Park! 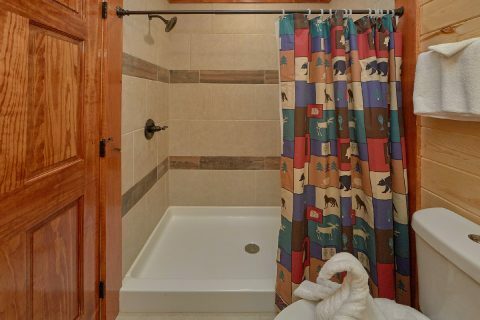 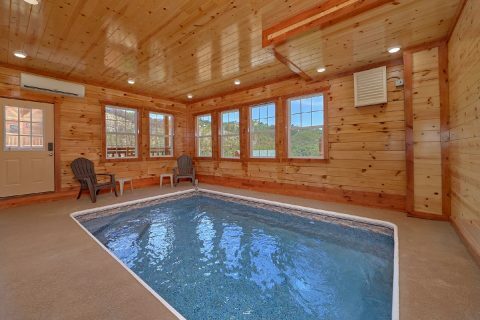 When you aren't busy exploring the sights of the Smokies, you'll love unwinding at this cabin rental that comes complete with a private indoor swimming pool, so you can enjoy a relaxing swim whenever you'd like! 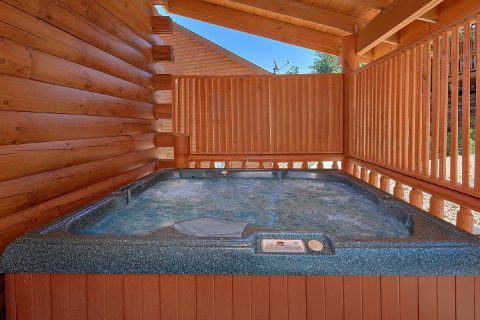 Additionally, this rental offers a hot tub, so you can also rest your weary bones in warm, jetted water. 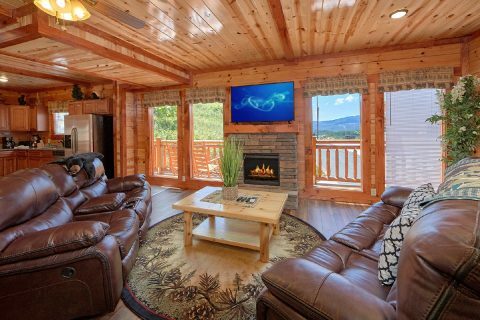 For enjoying quality time with your friends and family, this rental provides an open-concept living area that comes complete with comfortable furnishings and an electric fireplace. 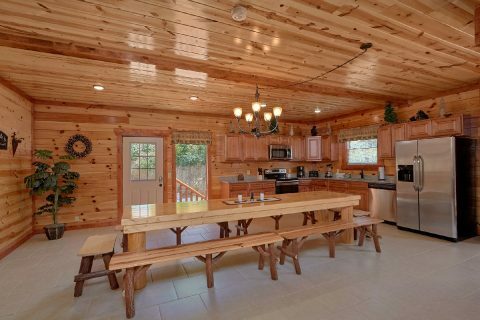 Nearby, your cabin provides a kitchen and dining area for enjoying delicious meals during your stay. 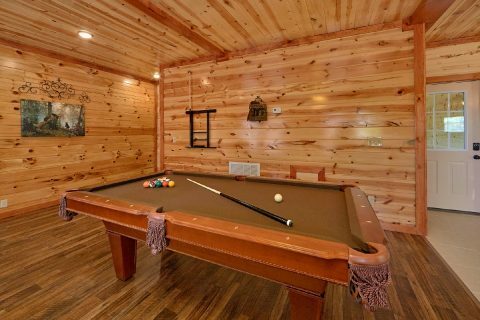 For some in-cabin entertainment, this level of your cabin provides a pool table. 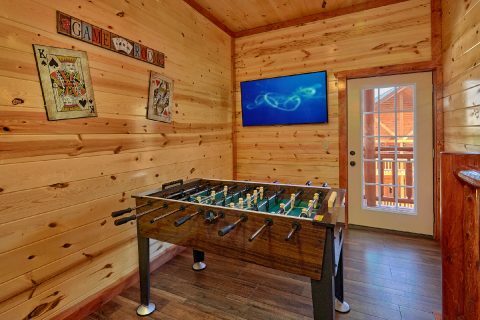 Upstairs, you'll also find a lofted area complete with an arcade game, foosball table, and a flat-screen television. 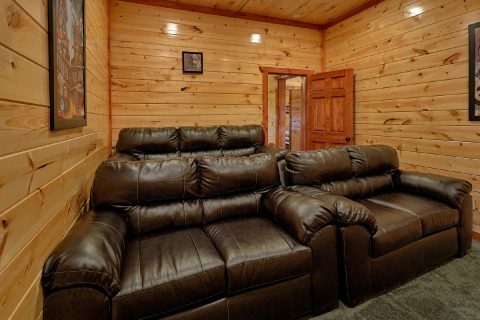 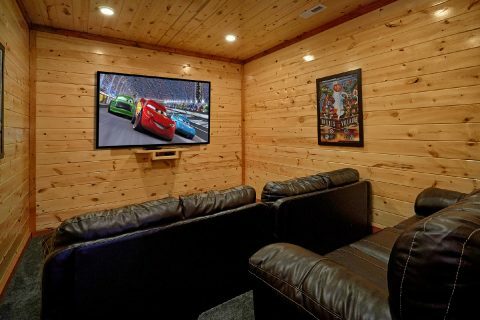 Better yet, you can enjoy a relaxing movie night in your cabin's theater room upstairs! 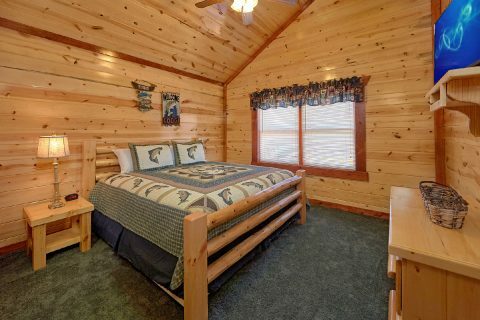 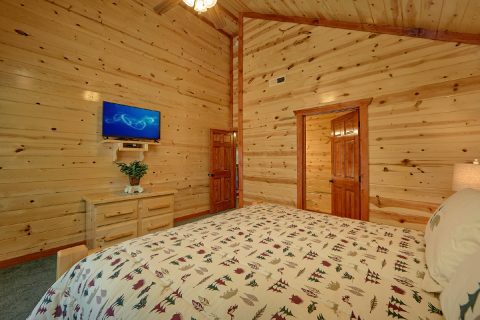 After an exciting day in the Smokies, you can look forward to getting a good night's rest in one of your cabin's 5 private bedrooms. 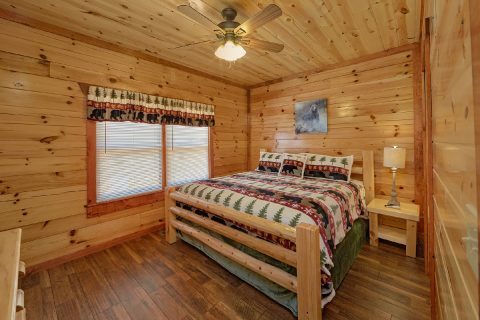 Each bedroom comes equipped with a king-size bed and a private bathroom, so there's plenty of comfortable sleeping space for up to 10 guests in this cozy cabin in the mountains. 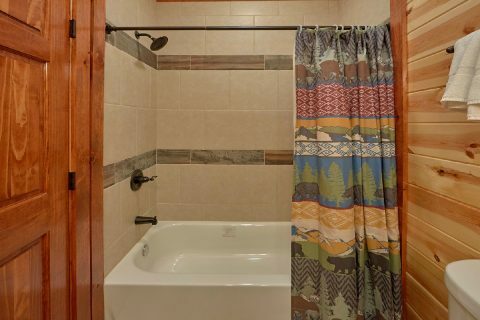 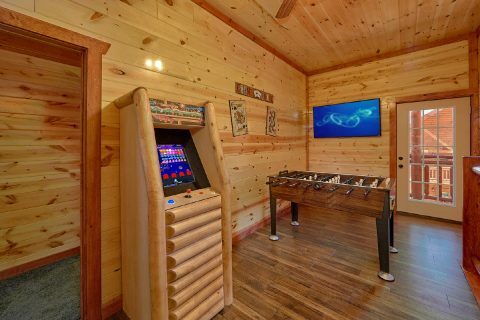 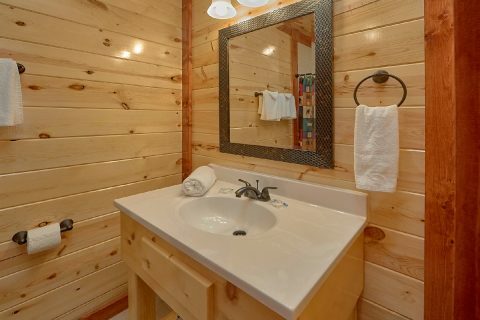 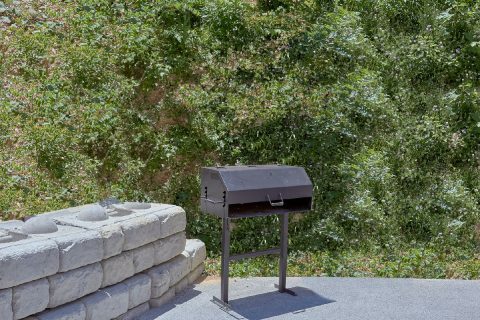 Lastly, this luxurious cabin rental also features handy amenities like a charcoal grill, WiFi Internet access, and a washer & dryer for you to use during your stay! 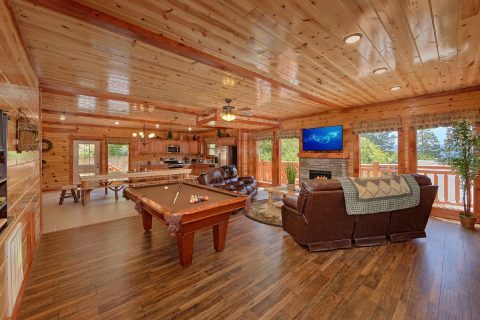 Reserve "Dive Inn" with Cabins USA to earn a 15% discount on your nightly rate and start planning an action-packed vacation in the Smokies!